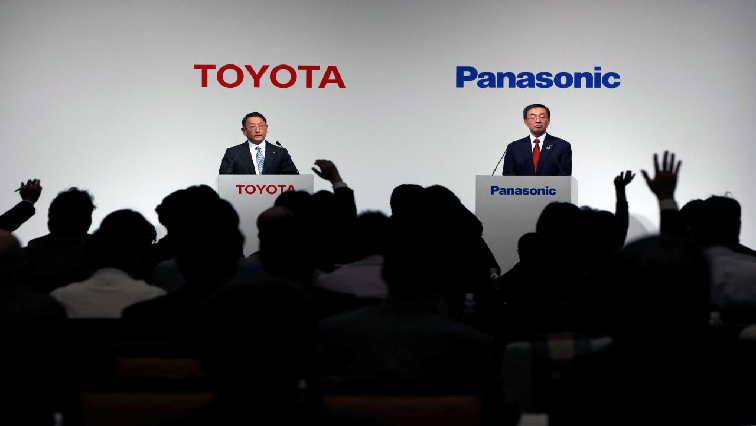 Toyota and Panasonic set to join venture on battery production - SABC News - Breaking news, special reports, world, business, sport coverage of all South African current events. Africa's news leader. Meetings between Toyota Corp and Panasonic are happening privately about a joint venture between the two on battery production. The joint venture, to be owned 51 percent by Toyota and the rest by Panasonic, could also provide batteries to Toyota’s EV technology partners Mazda Corp and Subaru Corp, the source said on Sunday. Panasonic, the exclusive battery cell supplier for Tesla Inc’s current production models, could also reduce its heavy reliance on the United States (US) EV maker whose production delays previously weighed on the Japanese company’s earnings. It’s not clear yet how Panasonic would supply its prismatic batteries to other automotive clients, which include Honda Motor and Ford Motor. This entry was posted on 21 Jan 2019,05:47AM at 5:47 AM and is filed under Business. You can follow any responses to this entry through the RSS 2.0 feed. Both comments and pings are currently closed.